GHS 2015 builds partnerships – Good Practice Good Health Inc. In 2011 my husband Tim died of cancer after nearly 4 years of health system experiences, first to learn what it was that his body was doing, then to try and help his body be well and ultimately for his life to end. After three years of reflection and grief I approached our local community leaders in their many guises – Council, hospital, health care agencies, doctors, psychologists, physiotherapists with the idea that I might like to create a gathering that was something like the Tim Johnson memorial lecture. This simple idea gathered enough steam to become the Gippsland Health Summit, which we held in June this year. Describing the process of building a brand new conference from scratch is for another time, suffice to say it required many, many voluntary hours from a community of people who came together around a few simple ideas. The first of these ideas was that caring for someone requires care. We convey our intention and capacity to care for another human being by paying attention and we deliver this through our verbal and non-verbal communication. We also demonstrate our care of another by seeking to understand what it is that they care about, what’s important to the person being cared for. This is the essence of what is meant by patient centred care, what ultimately became the central theme of the Summit. I am an executive coach with health professionals among my clients. In my earliest visioning of this event, it was about educating health professionals to communicate better, more compassionately. To help them to listen more carefully. However, one day I was speaking candidly with my brother, who is a GP, about my frustrations with the things a doctor had said to one of my counselling clients. He then recounted a story to me concluding that “this patient wanted me to tell her what to do, the patient said to me, ‘just tell me what to do, it worked last time’!”. This was in fact a watershed moment for me. What if he was wrong? What if she has an innate X factor referred to in quantum physics that she is not tapping into, by giving all of the responsibility for her health to her doctor? In that moment I realised that all of the parties needed to be involved in anything we proposed to do, if we wanted to effect the communication between people. As a psychologist I understood that the issues were in the relationship between the parties, not just in the health professionals I was frustrated with. And so the intentions of the Gippsland Health Summit crystalised. We set about building a program that could aim to educate and build health literacy across the community (patients/clients) encouraging all people to be responsible and actively engaged in their health and their health care. We also built a program that could help health professionals recognise that effective communication, compassion and empathy require ongoing attention and training in order for them to be practiced in our health care system. And we suggested throughout the promotion and delivery of the Gippsland Health Summit that partnership brings better outcomes in health and health care. There was another thematic thread alive in our Summit, the idea that mind and body are connected and each affects the other. Our health and our capacity to engage in partnering, being empathic, communicating well and showing compassion, has a direct impact on how much we are engaged in the conversation, the process of healing and staying well; the embodiment of the ideas. These ideas brought six wonderful speakers to our region from across Australia to share their expertise on patient centred care and the mind-body connection. They were all attracted by the notion of speaking to both groups – public and health professionals, this was in some ways a unique opportunity. Dr. Cath Crock shared her experiences with us from her work in patient centred care at the Royal Children’s Hospital and the AIPFCC presented Hear me to our community. Almost all of the evaluations at the public and professional components of the Summit expressed a desire for the summit to happen again and often. All of the comments from the public evaluations related to speaking up, asking questions, seeking a second opinion, bringing support people to appointments, learning some assertiveness skills, feeling empowered and about confidence to advocate for themselves inside the health system. As a committee we are very excited about helping people to build these skills and to contribute more in their own health and health care, we believe this will result in more effective, relevant, timely care. The professionals attending the Gippsland Health Summit are also keen to participate in more of these events, here are a few of their comments. From a nurse “This has been a most worthwhile and valuable learning and self awareness experience” and from a GP “patient advocacy can help me help patients” and from an Occupational Therapist “this was a wonderful professional networking opportunity”. The professionals valued the opportunity for cross professional interaction and learning, they recognised from their own worlds of work many of the problems demonstrated in the play Hear me and they expressed hope, encouragement and enthusiasm about making patient centred care more actively and consciously a part of their workplace. Speakers like Dr. Elisabeth Wearne and Dr. Tasha Stanton reminded all in attendance about the important role of perception, and that compassionate care also reduces emotional strain on the care providers. Education is a continual process. We are so thrilled that over 200 people engaged in an open conversation in Gippsland about what we can each do today, to make sure that health care and health more generally, is delivered safely, compassionately and effectively in our region. There is no room for defensive or exclusive communication when it comes to health. We each have something to contribute. It is in the meeting spaces in between the patient and their health care provider that the greatest care can be found. The next Gippsland Health Summit will be in early 2017. View lots of great patient centred care links and clips via the Gippsland Health Summit Facebook page. 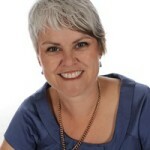 Sharee Johnson works as a Psychologist, Counsellor, Executive Coach and Facilitator. She is the founder of Good Practice Good Health Inc. Sharee is especially passionate about building positive relationships at work and in life through effective communication and mindfulness training. www.shareejohnson.com.au. Article originally published in Australian Institute for Patient & Family Centred Care www.aipfcc.org.au.